Do you excessively obsess or admire something or someone? This is by definition worship, and its putting something above God. Many times people become obsessed with making money, or following sports, ect. The problem is these distractions take you away from focusing on God. This entry was posted in Advent, Blog, Christ, Christianity, Devotional, faith, God, Gospel, Grace, Heaven, Holy Spirit, Idolatry, Jesus, Religion, Sermon on July 29, 2016 by Unashamed of Jesus. So is Sin from God? No , God doesn’t know sin because he is Holy (James 1:13), all Sin comes from Satan and is a rebellious act against God (1 John 3:4). This is why Sin can’t be tolerated in the Kingdom of God, for the wages of sin is death, but God is eternal. So Jesus became the ransom for our sins (1 Timothy 2:6) He took on the sins of the world so we can be made pure again in the eyes of God. (Isaiah 1:18) Without Jesus there is no ransom, there is no life. 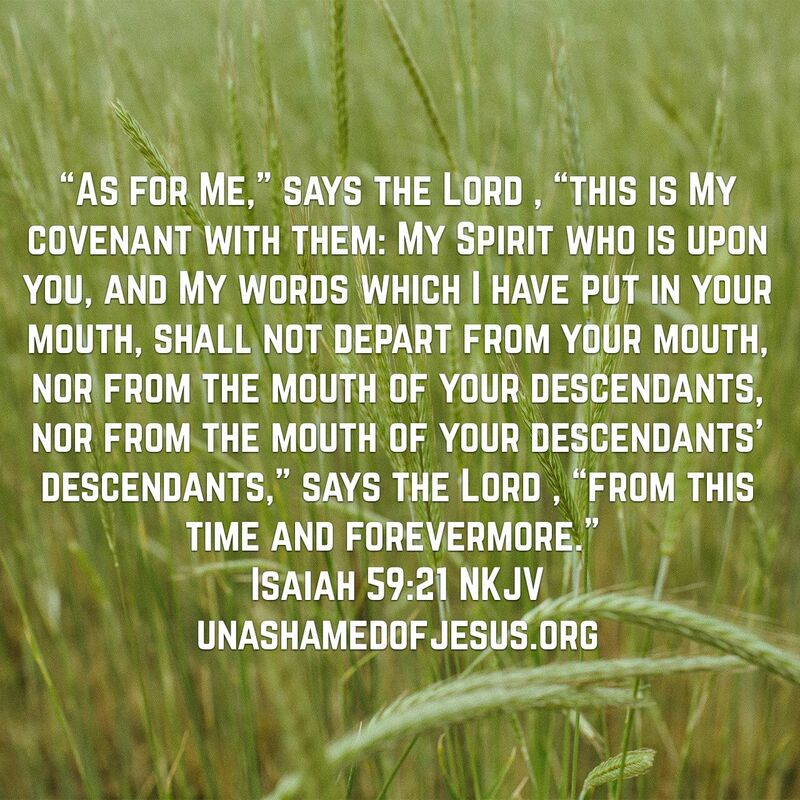 This entry was posted in Jesus on July 27, 2016 by Unashamed of Jesus. Many Christians today believe we need to change our beliefs or doctrine to accommodate people’s lifestyle today. The problem is God does not change, and his Word never changes either (Isaiah 40:8)So what is the solution for this? Repentance. John The Baptist was sent as the messenger to pave the way for Jesus Christ (Isaiah 40:3) what was his message? “Repent for the Kingdom of God is at Hand”. The problem is people don’t understand the true Biblical meaning of Repentance. The Greek word is metamelomai which means change of mind and purpose. So repenting doesn’t mean to just confess your sins but to also change your lifestyle from sin. Jesus is the Living Word (John 1:14) and he is the same today, yesterday, and forever (Hebrews 13:8) Therefor God doesn’t change and neither does his Word. God gave us the laws of marriage in Genesis 2:24 and Jesus echoed the same in Matthew 19:5. Notice God does not change. The reason modern day Churches are failing is because they haven’t truly built their house upon the Rock, they have built on the sand by changing Gods word to fit their congregation. What happens, the storm comes in and crushes the false Church. This entry was posted in Advent, Bible, Blog, Christ, Christianity, Devotional, faith, God, Gospel, Grace, Holy Spirit, Hope, Jesus on July 26, 2016 by Unashamed of Jesus. Many people often debate or ponder, what did Jesus look like, however this issue is we are looking at things from the physical world and not the spiritual. So knowing this, would we treat our neighbors differently? Would we be more loving towards our family? Would you truly love your neighbor more knowing that Christ might live in them? 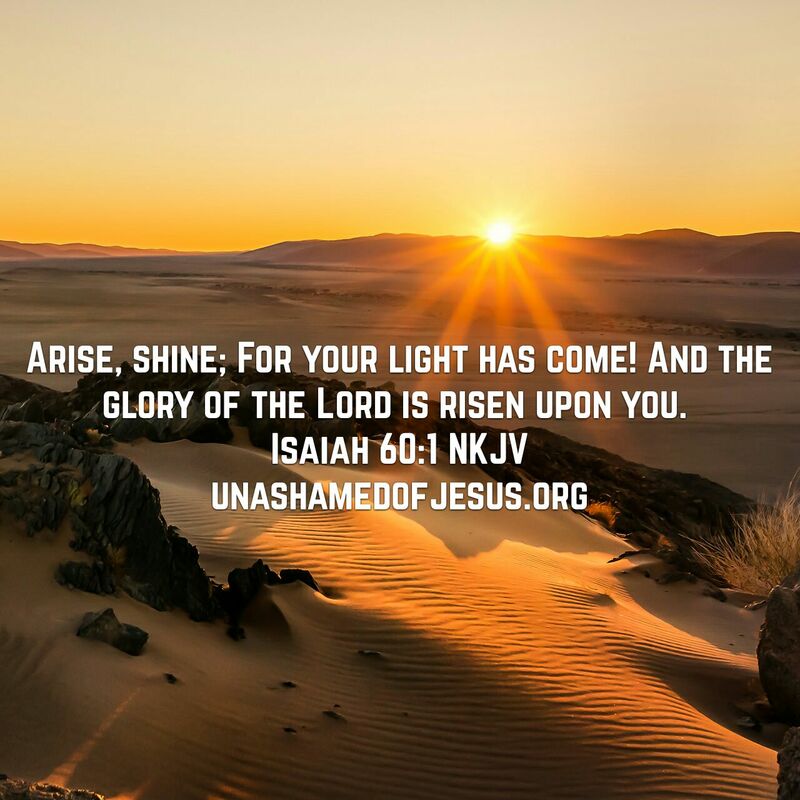 This entry was posted in Advent, atheist, Bible, Blog, Christ, Christianity, Devotional, faith, God, Gospel, Grace, Holy Spirit, Jesus, resurrection on July 25, 2016 by Unashamed of Jesus. This entry was posted in Jesus on July 22, 2016 by Unashamed of Jesus. Many people claim to be a Christian and love Jesus, but are your actions justifying your beliefs? We need to remember Love is not just a feeling, its also an action. As we learn in (1 Corinthians 13) Love is not self-seeking, rejoices in truth, and endures through all things. Agape- is the original Greek word translated to Love, but it’s a deeper love than the superficial one the world is used to. It’s a love of faithfulness, obedience, and sacrifice. Just like with a parent and child, when a child is disobedient or rebels against there parents commands or instruction, does this show love? No as a parent when our children disobey or lie to us, it breaks our heart. Why? Because we want the best for our children and God wants the best for you also. So if you truly Love Jesus, then follow his commandments. For he is the truth , life, and way (John 14:6) he will not lead you astray, (Matthew 24:4) Jesus Loves you, question is Do you really Love him? This entry was posted in Advent, Bible, Blog, Christ, Christianity, Church, Devotional, faith, God, Gospel, Grace, Jesus, Love, Religion on July 21, 2016 by Unashamed of Jesus. This entry was posted in Jesus on July 21, 2016 by Unashamed of Jesus. Gods Will or Our Will? This entry was posted in Advent, atheist, Bible, Blog, Christ, Christianity, Devotional, faith, Gospel, Grace, Jesus, Religion, Will on July 21, 2016 by Unashamed of Jesus. This entry was posted in Jesus on July 20, 2016 by Unashamed of Jesus. Many times in life when something goes wrong or were faced with a struggle, we ask God why? Why would you allow this to happen? Why are you making me go through this? This same scenario was brought up by the disciples. A man born blind from birth, so the disciples questioned Jesus, why? Why would God allow this to happen? Did the man bring it upon himself? Jesus clearly answered them that the man’s blindness was not his fault. Nor was it his parents or anyone else’s fault. God allowed the man to be blind so the glory of God can be revealed through him. So what does that mean? First we must remember we live in a broken world, due to our sin we have subjected ourselves to disease and death. Second our purpose of life is to continue to learn and grow in preparation of Gods Kingdom. Since we can’t live in a perfect world, due to our choice of sin, we must learn from our struggles and turn to God. This entry was posted in Advent, Bible, Blog, Christianity, Devotional, faith, God, Grace, Healing, Holy Spirit, Jesus, Miracle, Prayer, prophet, Religion on July 20, 2016 by Unashamed of Jesus.